Yes! I would look for a white cake (as opposed to a yellow cake) because the yellow coloring will influence how the food coloring turns out, and your colors might have a yellowish tint. Do cupcakes work out well?? I wad thinking of making these for party favors. They do! 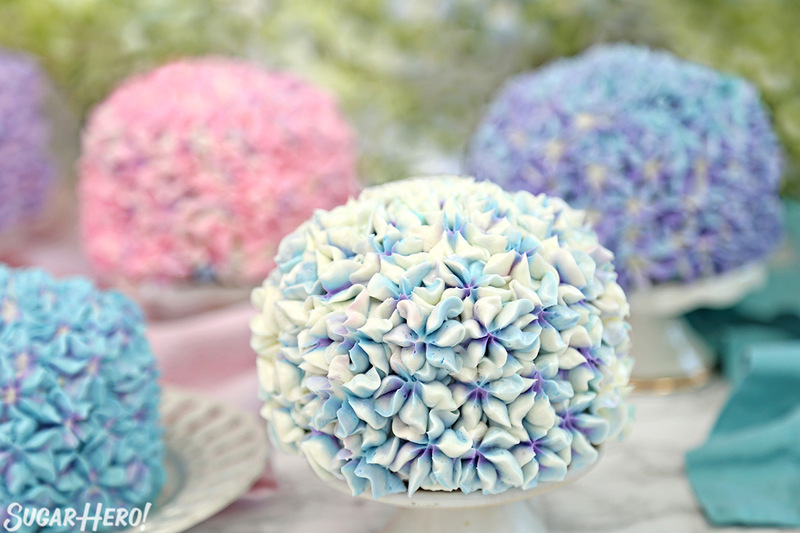 I’ve done hydrangea cupcakes many times. You can use the same tip and everything. 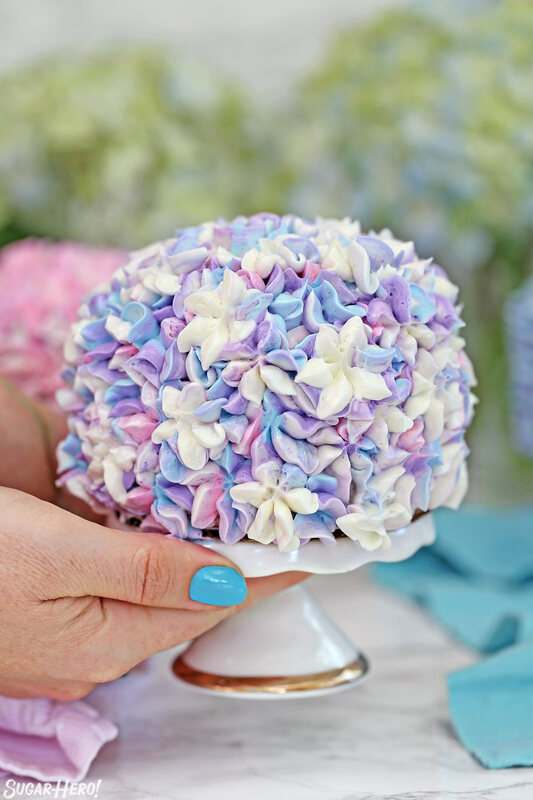 I do try to mound the frosting up a little higher on cupcakes to give them a round shape, so I tend to pipe more of the flower petals on top of each other on the cupcake, but that’s really the only change. What is the depth on the 4 inch pans you used? 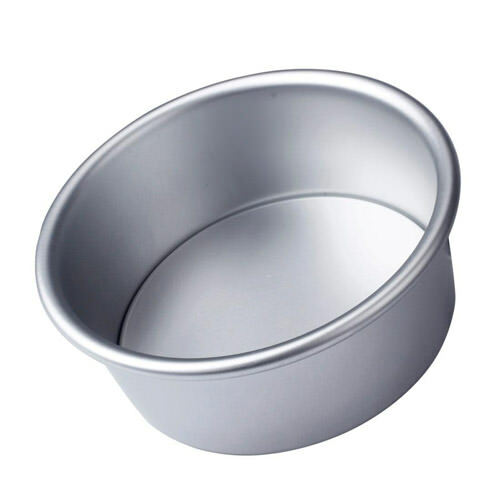 I’m a weird cake pan hoarder and wondered the best depth… I have 2 inch, 3 inch, and 4 inch depths in the 4 inch pans. Haha! No, it’s totally not! It’s actually my “Easiest Swiss Meringue Buttercream” from this site, and if you’re curious you can scroll through the comments seeing what other readers think of it. 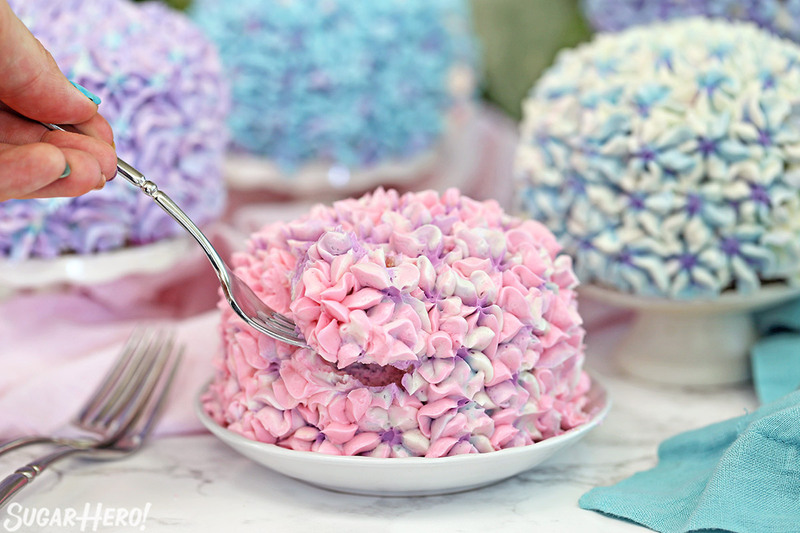 Lots of people say that they dislike sweet frosting and this one is perfect for them! These edible flowers are beautiful. I told Susie Leung, you should come back and make these for our garden party in June 29. Beautiful! Taking pictures is one of the best parts!! Minunat !!!! Abia astept sa fac acest tort de ziua mea dupa imaginile si reteta vazuta aici ….dar am o intrebare ? cite albusuri sa pun la blat ( 4 fl oz =??? Typically, one large egg white is 1 fl oz, so 4 fl oz is 4 large egg whites. But since eggs can vary greatly in size, I recommend measuring them just to be sure! I’m sorry, but I don’t have the ability to offer language translation on the website at this time. On the egg whites no cooking needed it ? 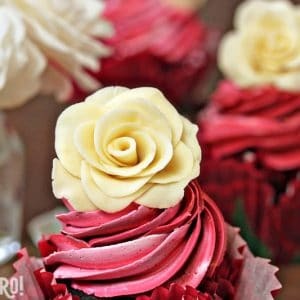 Where would i find mini cake stands for making these cakes? 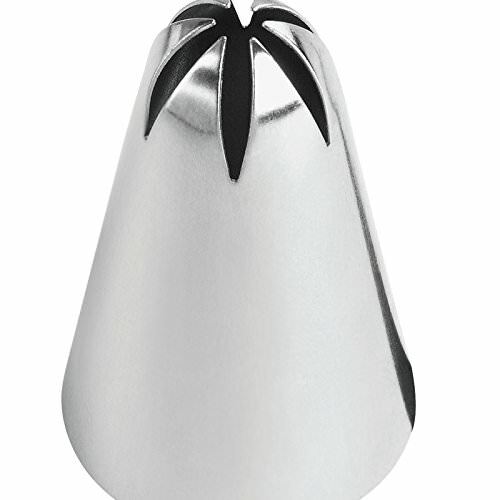 Hi, if you search for “cupcake pedestal stands” or “mini treat pedestal stands” you should find lots of options online! I am so thrilled to hear that, thanks for the feedback DeeDee! Just wish you would decipher the 24oz’s of butter. Volume or weight? 6 sticks seems like a lot of butter. Looked up other butter cream icing and most require between 1/2 and 1 1\2 cups of butter. Hi Brian, The 24 oz is weight. (Volume oz are typically marked fluid ounces, or fl oz). 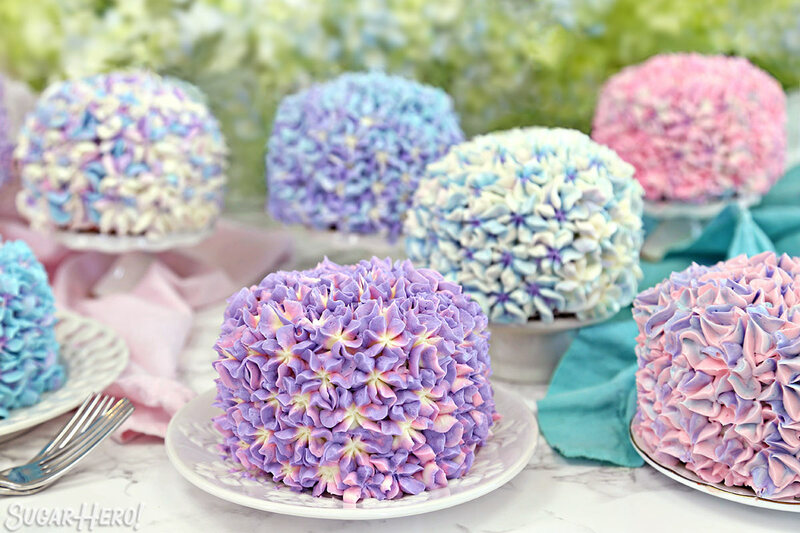 Because of the decorating technique, these cakes do have a lot of buttercream on the outside, so this recipe yields a large batch–about 8.5 cups. You are free to substitute another buttercream recipe of your choice, of course. Wish I could pin this. Hi Johnna, If you’re on a desktop, you can hover over any picture and a Pin It button will pop up in the corner. You can also use the Pinterest icons located at the top, bottom, and left-hand side of the post. Mobile’s a bit trickier, but there’s a social sharing bar at the bottom of the page (sometimes you have to X out of an ad to see it) and that will allow you to pin too. 🙂 Thanks! Rose water is a flavoring often used in Middle Eastern cooking. It’s made from roses and actually tastes like roses! Made these today. I have never made cake or frosting from scratch and they came out very nice. Took most of the day 🙂 I must have done something wrong though, my buttercream frosting taste only of butter and not very sweet. I followed the recipe to a tee… Is it supposed to taste that way? Hi Karen, I’m glad the cakes turned out for you! I’m sorry to hear the buttercream wasn’t to your taste. It’s definitely less sweet than the traditional “American” buttercreams made with just powdered sugar + butter, but IMO it should still have a sweet flavor, not be plain buttery. If you were to want to try it again, you can definitely add a bit more powdered sugar to get it more to your taste. I would try to add it near the beginning if possible, so it be mixed in very well. LOVE! Just made this cake and it looks great. I’m a complete baking novice, so if I can do it anyone can 🙂 Just a tip for those outside the US, I made with plain flour (we don’t have cake flour here in the UK) and it worked fine, however the issue is that the flour is more cream colour (rather than white) so the cake colours so do not come out as bright as pictured. I couldn’t find purple food colouring so I mixed Red & Blue which was a bit of disaster (turned out grey) so stuck with pink and blue which worked well. Thanks for the recipe! 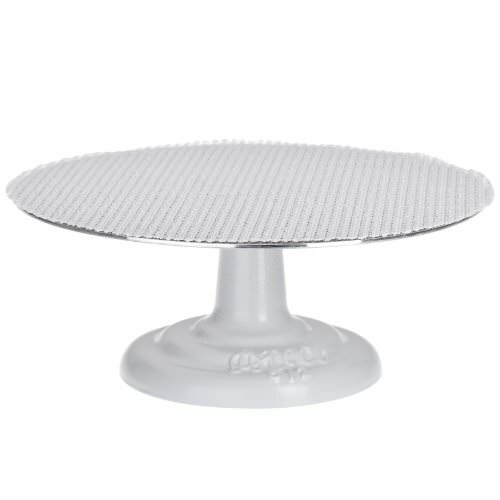 Where do the mini cake stands (for 4″cakes)come from? Hi Ramona, I actually found mine at TJ Maxx! But if you search for “cupcake pedestal stands” or “mini treat pedestal stands” you should find lots of options online! For short-term storage or even overnight, the counter is fine. But for longer-term storage then I do recommend refrigeration. Hi Carol, I’m sorry the pans have been hard to find! I didn’t realize the merchant had a limit when I linked those (what’s that about?!) It’s actually not a deal breaker–you can make a larger size–many people have done these as a single full-sized cake and it turns out great. Or you can bake the cake on a rimmed cookie sheet and then use a 4″ round cutter to cut out circles of cake to assemble. It’s a little more work (and you’ll get a smaller yield because of the cake scraps) but it’s a good way to get custom sizes. If you don’t have a 4″ round cutter you can even just use a small plate and trace around it with a knife–whatever works for you! Feel free to reach out by email ([email protected]) if you have any questions. I found them at Target! Sold in sets of 3 by Wilton for $8.99. Hope this helps! Hi Lisa, I’m so thrilled that the cake worked for you. Unfortunately I don’t have a good way to upload pictures on my website. But if you are on Facebook or Instagram you ca share one with me there, and I would love to see it! 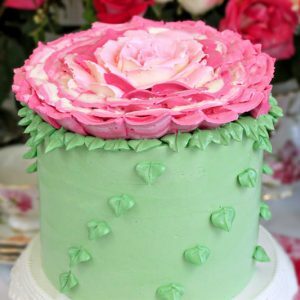 Please forgive a beginner baker’s question: So the second layer of buttercream should be smaller than the first, and the third smaller than the second? I’m so eager to try these! How do you get the plastic wrapped frosting into a piping bag? The video looks like you put the frosting tip into the plastic wrap tube… that won’t work. Do you somehow unwrap the plastic wrap and transfer the frosting “sausage” into a piping bag with the tip already attached? I’m not clear on the steps when watching the video…help?! Hi Susan, the piping tip goes in a piping bag, I snip off one end of the frosting tube, and then that gets placed in the piping bag. 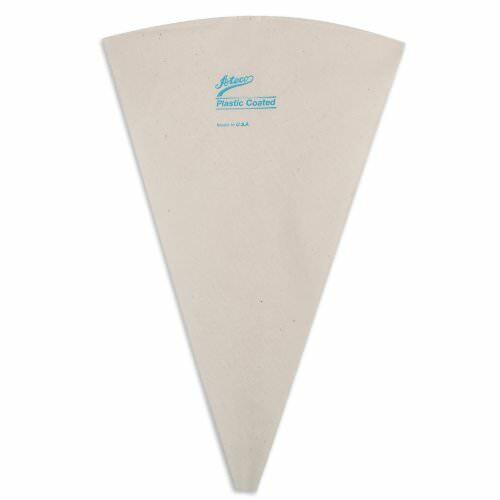 The piping bag I’m using in the video is clear plastic, which might account for the confusion. These were great! I got 24 small cupcakes (I purposely under-filled them) and one 4-inch cake out of the batter. I used my favorite swiss meringue buttercream frosting recipe rather than buying pasteurized egg whites. The plastic wrap frosting roll technique was new to me, and I LOVE it! Great, please let me know how it turns out! If it’s only going to be out for a day or two, it’s fine to not refrigerate the frosting. If it’s going to be much longer than that, I would recommend refrigerating them. If you’re going to refrigerator it, let it come to room temperature completely and then whip it well before you use it. Yes, a hand mixer should work fine. Because they’re not as powerful as a stand mixer, you may need to adjust the beating time, but otherwise it should work just fine. I live in U.K. Can you buy these ingredients over here? Yes you can. I have heard from U.K. readers that the pasteurized egg whites are available at major grocery stores like Tesco’s otherwise I think all the ingredients are pretty standard. Let me know if you have any specific questions. Hi there, and thanks for the great recipe! 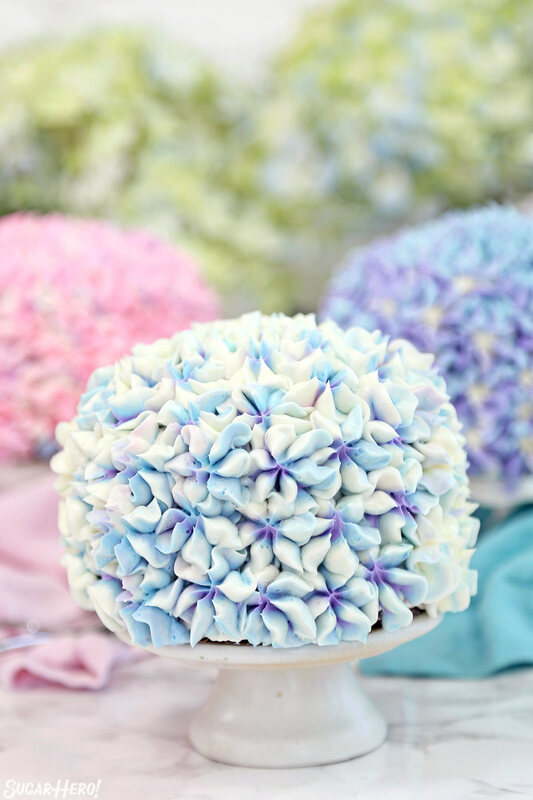 I was testing out making the frosting “flowers” and was having a bit of trouble with the layering of the 3 different colors. I couldn’t really get them to spread on top of one another without ending up mixing them all together. I was using canned frosting for my “trial” before I made the actual recipe, so it’s possible that could account for the trouble. Any tips? 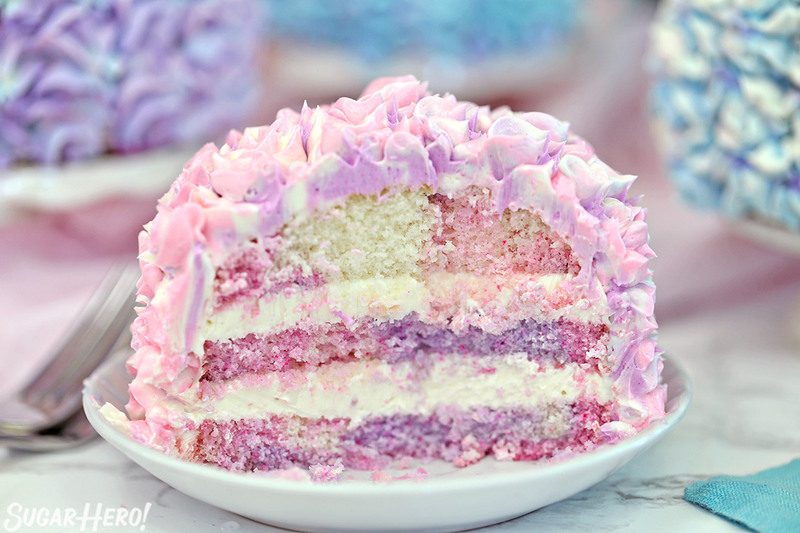 Could refrigerating the frosting before layering it help keep them from smearing all together? Canned frosting is definitely the culprit, it’s just not going to behave like homemade Swiss Meringue Buttercream. To be honest, I’ve never had very much success piping it. You could try refrigerating it, but I just don’t think you’ll get the same results as homemade. Best of luck, and let me know how it goes! Cannot cannot cannot use eggs at all because of food allergies at my house. Any suggestions for replacements ? Thanks! Going to have to replace the eggs in the cakes as well; I’ll use my regular egg-replacer. Hee! We are literally building a new kitchen and my friend and I are vowing to give these a try one it’s done! How do you get the decorated cakes off the lazy susan and onto the pretty cake plates without ruining it? Hi Debbie! I recommend putting them on small round cake boards before decorating. If you can’t find boards the size of the cakes, you can cut down larger ones so they’re the same size as your cake. Then once they’re decorated, just slide an offset spatula under the board and it pops right off the turntable. 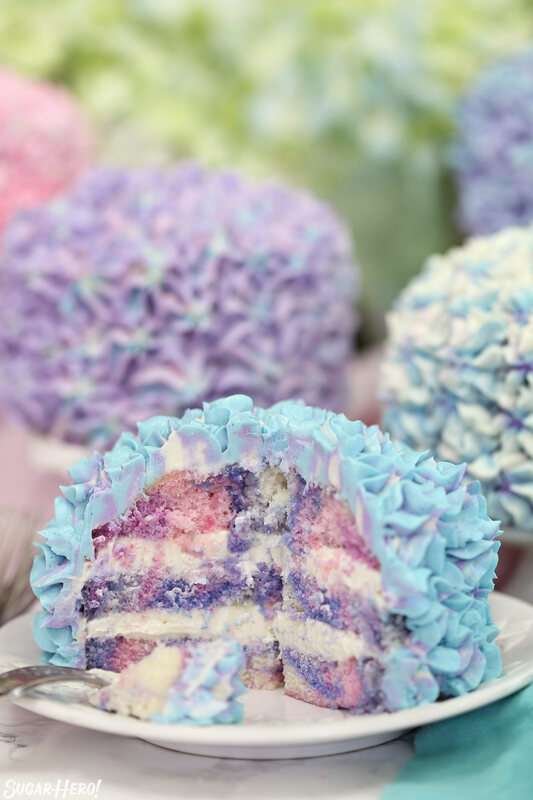 These cakes are so pretty. I am going to try this recipe. I do have question about the recipe for the buttercream. It says 24 oz (6 cups) but 24 oz is 3 cups. I am fairly new to baking so I am just making sure that all the ingredients and measurements for the ingredients are correct. Thank you! Hi Stacie, This is a pretty common question, and the answer is that 24 oz of powdered sugar is actually 6 cups, because 1 cup of powdered sugar weighs 4 oz. You are probably thinking of fluid ounces–1 cup of liquid is 8 fluid ounces, but we’re talking about weight (mass) measurements, not liquid measurements. It’s definitely confusing because they’re both called ounces! If you have a kitchen scale, I always recommend using it over cups, because it will be more accurate. Hope that clarifies things, and please let me know if you have any questions. Hi! I was just wondering, what size do you think will work out for an individual wedding treat? I’m a baker, and my sister is getting married, and asked for some small individual dessert treats. It’s a spring wedding, so I thought these cute little cakes would be perfect! Does the recipe work out with smaller sizes? Thanks! Looking forward to a reply! 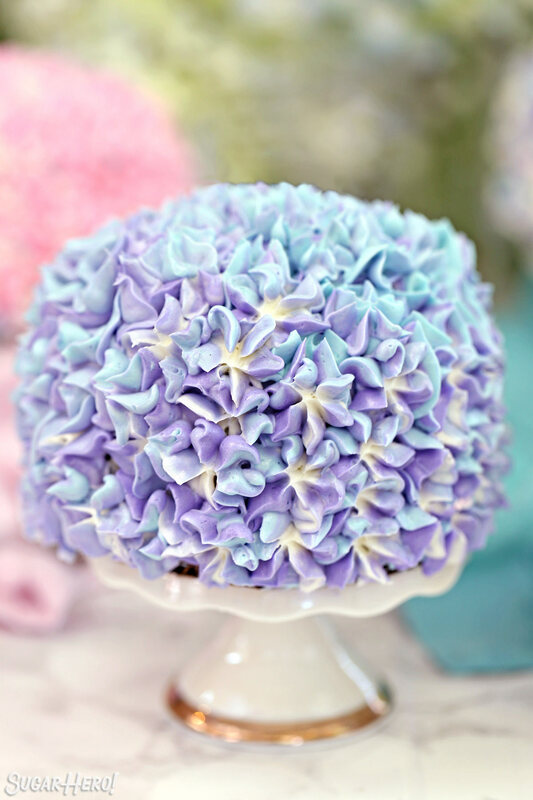 Yes, these totally work in smaller sizes, you could even make Hydrangea cup cakes! These would be perfect for a spring wedding! Let me know how this works out, I’d love to see pictures! I love cakes how do you make them? Hey thats a huge question! I have a whole section of my cake recipes here https://www.sugarhero.com/category/cake/ if you have a specific one you want to make and have questions please let know! I have do weekly live streams on my facebook facebook.com/sugarhero feel free to join me!